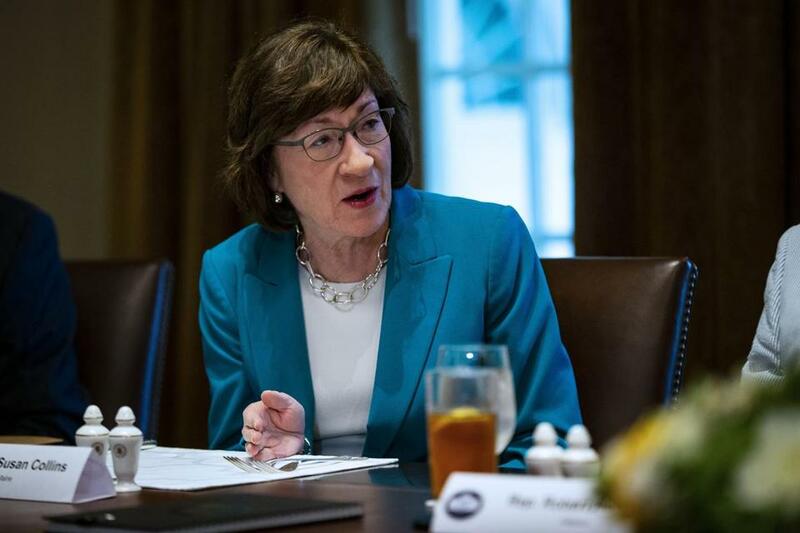 Susan Collins, Republican Senator from Maine. No pressure, Senator Susan Collins. This is only the moment that might define your entire career. Any minute now, the president will announce his second pick for the Supreme Court, a nominee expected to cement a lasting conservative majority on that storied bench. This would be the same president, you’ll recall, who promised to appoint “pro-life justices” who would tip the court so that it would “automatically” overturn Roe v. Wade. He’s done every other awful thing he threatened on the campaign trail, so there’s no reason to doubt him here. You’re vehemently in favor of abortion rights, holding off efforts to defund Planned Parenthood and chip away at reproductive freedom. Pro-choice groups love you for that, especially in Maine, where you remain super popular. 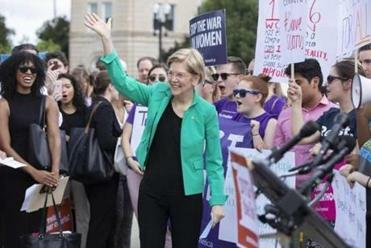 “It is something she has held near and dear to her heart since she was elected to the US Senate,” said Nicole Clegg, vice president of public policy for Planned Parenthood of Northern New England. Senate Democrats are vowing a fight for the ages to stop President Trump’s as-yet-unnamed Supreme Court pick from getting confirmed. People are depending on you — a crucial vote in a closely divided Senate — to hold off disaster. And you’re saying some of the right things. Of course. But few aspiring jurists would be silly enough to come right out and say they want to blow up abortion rights, even though they could still be determined to overthrow Roe. It would be hard for a nominee to get on the president’s list of potential justices, largely shaped by the anti-Roe Federalist Society, otherwise. And since you’ve also said it would be inappropriate for you to ask directly what a nominee thinks of Roe, keeping such a person off the bench will be a trickier proposition. especially since you seem to be playing by different rules than others in your party. You’re a reasonable centrist, in a party where your kind are all but extinct, and where leaders have repeatedly disregarded civility and established norms. Last year, you cast a heroic vote against repealing the Affordable Care Act. Then you turned around and voted for a tax cut package that repealed the ACA’s crucial individual mandate. At the time, you believed Senate majority leader Mitch McConnell when he promised you legislation to stabilize what remained of the health insurance program. But he reneged on that deal, of course, leaving you looking foolish, or insincere. How could you trust that guy? He has shattered once-sacrosanct Senate traditions. Most appalling, he stole a Supreme Court pick. You wanted President Barack Obama’s choice, Merrick Garland, to get a fair hearing. In that interview with The Daily, you declared yourself “delighted” by the fact that when you asked for his judicial philosophy, Garland said he didn’t have one. Maybe you should use your power here to insist that the president nominate Garland now. Tell him Garland, once considered just the kind of centrist both parties could support, is the only pick you’ll consider. Barring that gutsy move, we’re just going to have to depend on you to protect us from whoever does get the nod. Here, though, I worry about you, Senator. Not just because you’ve been cheated in the past, but also because it seems you don’t quite grasp the danger here. For example, you appear convinced that Chief Justice John Roberts, and newly installed justice Neil Gorsuch, would not vote to overturn Roe, because you say they have a healthy regard for long-established precedent. But both Roberts and Gorsuch have shown themselves to be plenty happy to overturn precedent: For example, just a couple of weeks ago, they joined a 5 to 4 majority reversing a unanimous 41-year-old decision on public employee unions that will greatly weaken workers’ protections. Despite this and other ample evidence to the contrary, you seem to think we live in a world where judicial nominees are true to their word, and your fellow Republicans have the integrity to put nation above party. That frightens me. Please, Senator, wake up.